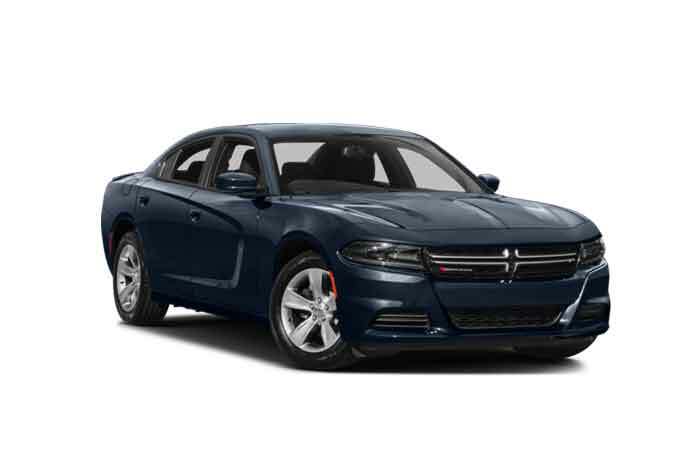 The Charger’s bad-boy attitude, muscular styling, and available Hemi V-8s challenge the family-sedan status quo. The base engine is a 292-hp 3.6-liter V-6; a 370-hp 5.7-liter Hemi V-8 or a 485-hp 6.4-liter Hemi V-8 are optional. All engines feature an eight-speed automatic transmission. Rear-wheel drive is standard; all-wheel drive is available on the V-6. The taut suspension and weighty steering bolster the muscle-car image while remaining compliant for daily use and long-distance comfort.